SEAT and Ducati have signed a year-long agreement to jointly participate in the MotoGP World Championship. 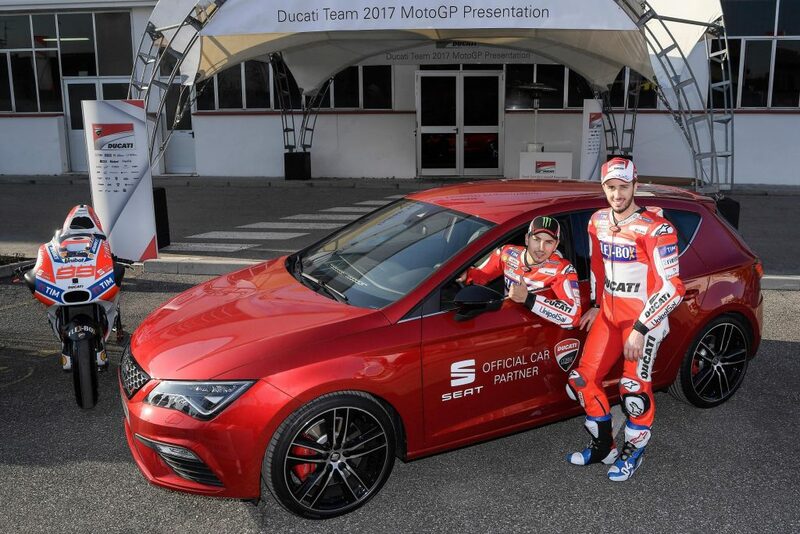 The 300 PS SEAT Leon CUPRA, the most powerful model in the history of the Spanish brand, will be the official car in the upcoming season of the Ducati Team in MotoGP, which consists of three-time world champion Jorge Lorenzo from Spain and Italy’s Andrea Dovizioso. 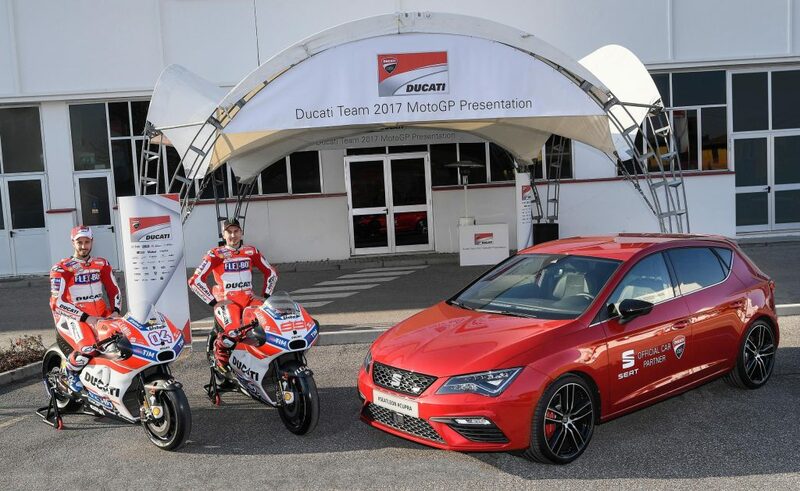 SEAT and Ducati are part of the Volkswagen Group and share values such as “dynamism, passion for design and commitment to innovation and technology”, according to SEAT Sport Head of Strategy, Business Development and Operations, Antonino Labate. 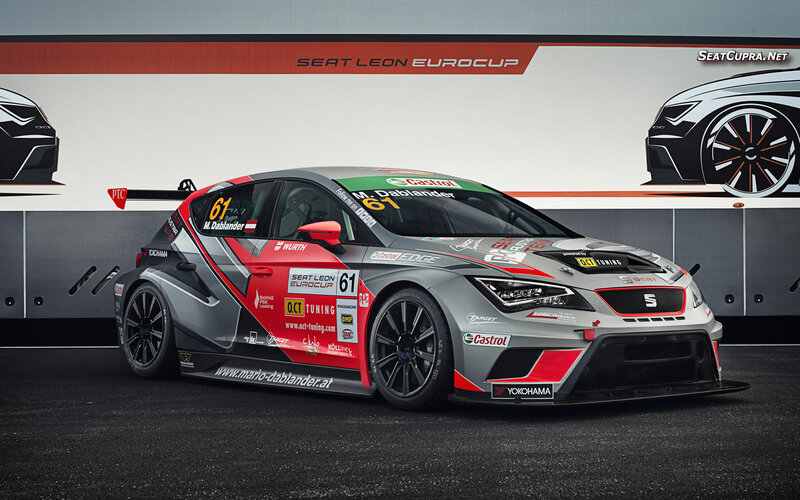 “These values are a mainstay of the SEAT Leon CUPRA which will be making its debut as the official car of the Ducati Team in March at the night-time race on the Losail circuit in Qatar,” he added. 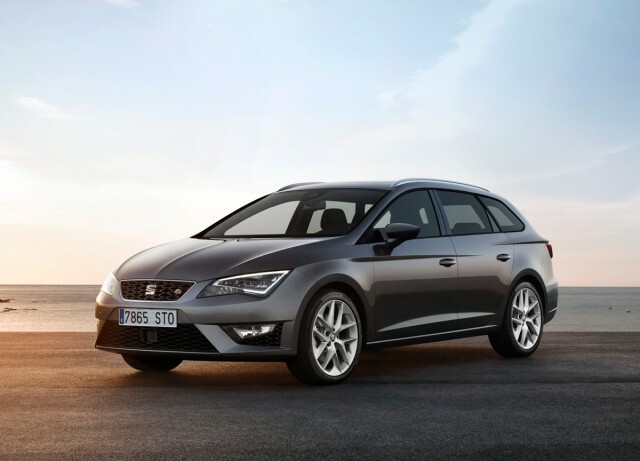 I have always admired the Seat Leon since my switch from the Golf. I have 3 Seats now. 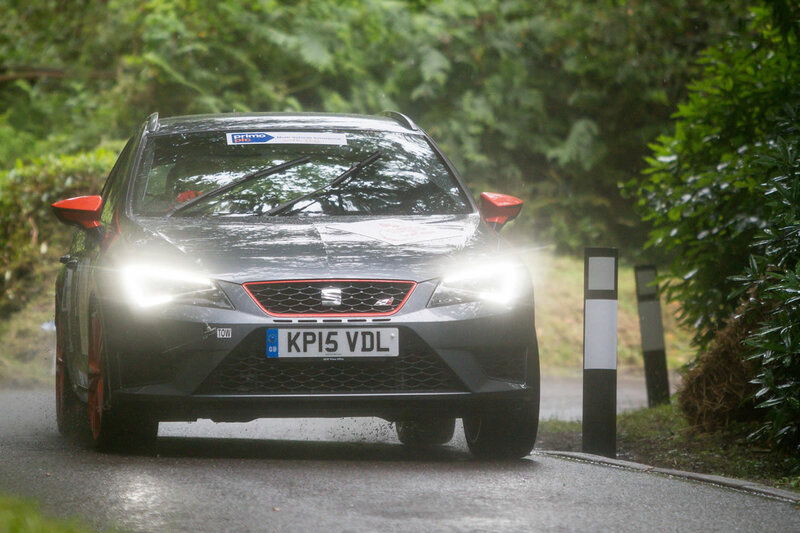 I want to change my 2008 Cupra, however my reluctance is due to the design of the hidden rear door handle. Can or would SEAT reintroduce it as that makes it standout in its fleet and what contributed to it’s rise? Unlikely now they offer a three door as well as the five. 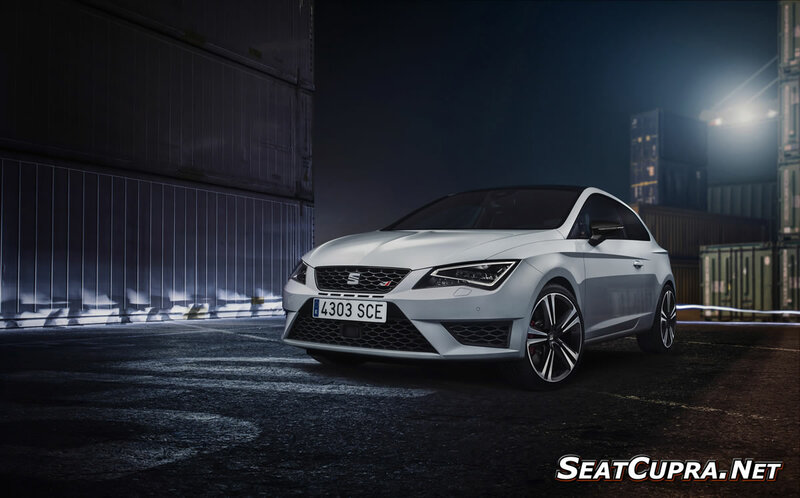 SEAT have said that whilst it was a cool design it confused a lot of people on the MK2 and potentially lost them some sales.